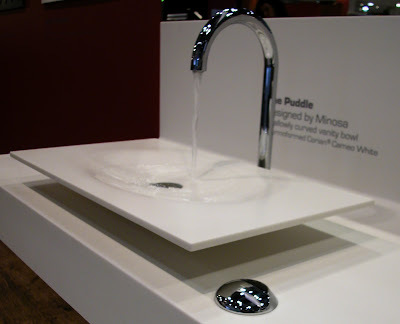 Minosa: I love the modern basin design BUT can the bowl be deeper? 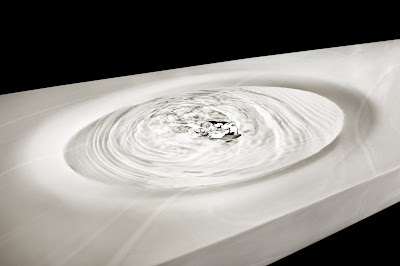 I love the modern basin design BUT can the bowl be deeper? I love the modern design BUT can the bowl be deeper? If I had a dollar for every time I have been asked this question I would be retired and enjoying a different life now. 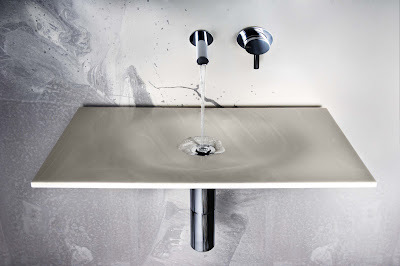 The biggest misconception with flat washbasins is that the water will splash, in the case of our wash basin collection this will not happen as long as you follow a few simple steps. If you are currently living in a house that has not been renovated in the last 5 years then I challenge you to go to your bathroom that probably has a washbasin that will retain about 5 Litres of water (we will get back to this point) and try turning the taps on to full pressure; what you will find is that you are now wet or some part of the floor is also wet. This is because you are releasing nearly 20 litres of water per minute thru your basin mixer. This amount of water in most cases will vary as some area's have higher water pressure coming into your home. This amount of water is not only unsustainable but is also not required! How do we stop the splashing?Well this is a very simple process, reduce the flow of water from the spout and what you find is that water will actually conform to a shape rather than repel against it; meaning that as water hits your hand or the surface of the basin it will actually form to that shape rather than bouncing of it all over you and the floor! Minosa designed our first flat washbasin "The Puddle" (the flattest in our collection) way back in 2002 and what we have found over this time is that we do not require a lot of water to wash our hands, brush our teeth with or in some cases for men, shave with. We designed this washbasin as Sydney's water restrictions were increased, we wanted to create a washbasin that pushed the market place to consider their own consuption of water thru this area of their house. Back in 2002 pre WELS ratings, finding tapware that was suitable was very difficult. In today's market place it is a great deal easier, thanks to the WELS rating system and the fact we are using more water than we are catching we are all trying to finally do our bit. The highest flow rate or star rating is a 3 star WELS rated outlet which in our opinon is still to much water, we feel that 4Litres of water a minute (6 star) is more than enough for us all to perform our daily bathing habits. Can I retain water in the washbasin? In all of our washbasin apart from The Puddle you can store at least 1.4 Litres of water. This is more than enogh for Men to shave with and for any one to perform daily habits. We are finiding that more and more people do not even retain water in their washbasin. There are two waste systems available; first is our Flip waste system & the other is the fixed waste system or free flowing wate which will not allow the user to retain water in the washbasin. Both systems like all of our washbasins are all made locally here in Sydney which has a host of beniftis I will cover another day. We have all made a huge impact on our enviroment and we can all do more than we currently are doing.